Add some elegance without draining your bank account with this inexpensive band from Covery. I’m a big fan of the sport bands that typically come with the Apple Watch, but there are times when I’d prefer to wear something a bit more elegant. 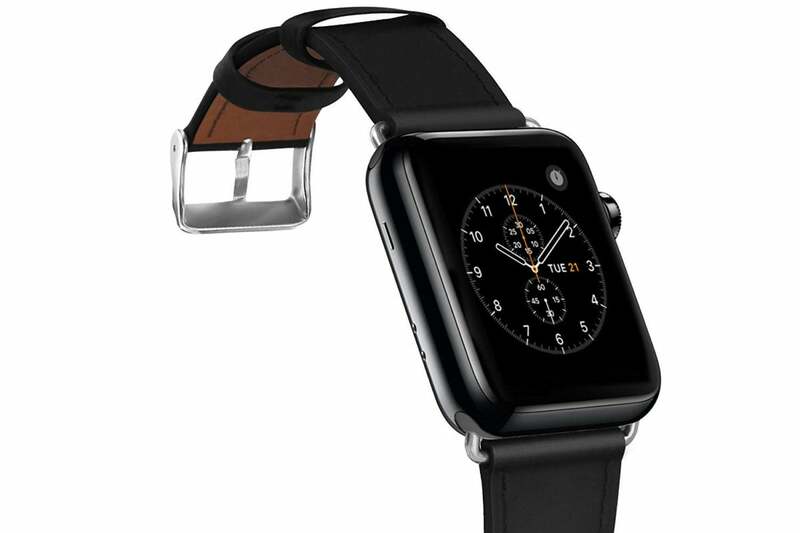 That’s why this Amazon deal on a black leather 42mm/44mm Apple Watch band from Covery caught my eye. It normally sells for $9.99, but you can get it for just $4.99 when you enter the code Y4CDN622 at checkout. It certainly beats Apple’s own prices. The “humble” sport bands I mentioned above sell for $49 at retail on Apple's site, and Apple’s own leather bands start at $149 and goes as high as $539 if you pick up a Hermès model. Sorry, but that’s just ridiculous. There are other models available, but the promotional code doesn't work on all of them. Still if you want the Bordeaux version or the space gray version instead, you can also get it for just $5 with the promotional code, down from the usual retail price of $11.99. Unfortunately, the deals (and most of the inventory) only apply to the 42mm/44mm bands. So yeah, get yourself a leather Apple Watch band today without worrying that you’re almost paying half the price for a new Apple Watch. They even come with an 18-month warranty. The bands maintain a rating of 4.5 out of 5 stars even after 462 customer reviews, but the few negative ones warrant attention. A few users, for instance, claim that the band isn’t real leather (although plenty of other people seem convinced), and a couple of people claim it fits a little too loosely. At the other end of the spectrum, the most “helpful” critical review claimed that it was too difficult to remove the band from the Apple Watch after installation. So just a heads up. On the bright side, if it doesn’t work out, you haven’t lost a fortune.